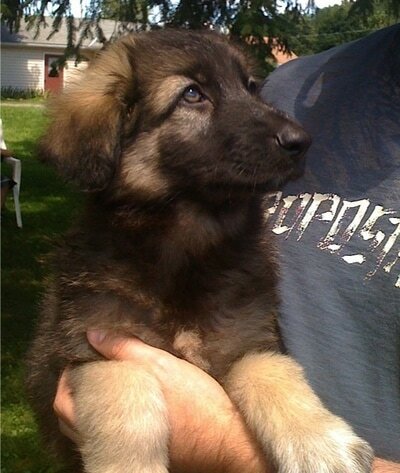 ​ The first time I ever laid my eyes on a Shiloh Shepherd was roughly 7 years ago. I am a pet groomer and I had 2 Shiloh's scheduled for grooming one day. When they both came in, my heart just dropped. I have never seen such beautiful dogs in my life before. And I had the pleasure of grooming and getting to know their personalities! I was just in total love with these 2 Shiloh's. I talked to their owners to find out more about them, where they came from, what they're like at home, and where they got these amazing dogs. She led me right to New Zion! 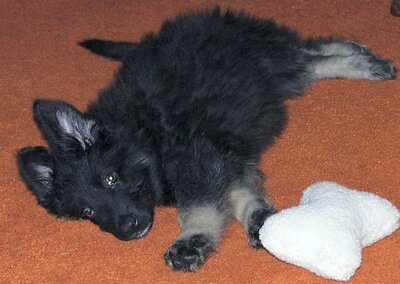 So for 7 years I had my heart set on a Shiloh shepherd but timing wasn't right yet. I waited and waited until I had my own home, that day finally came. I gave Lisa a heads up about a year prior. She had me come over to her place, I filled out my puppy application and she even let me hang out with all her dogs! I swear, I was in heaven when she let the dogs out and I was surrounded with kisses from all of the dogs!! From that point on, Lisa and I were in contact. I went to home comings, Shiloh walks and on fb pages. Each day I knew I was closer and closer to having my dream boy. I was so overjoyed when Lisa told me there was a litter due in December '16 (Dora/Gibbs). Everything was timed out perfectly and now pieces were just falling into its place. I went with Lisa to pick up the pups once they were ready to go back to her place and boy was that an exciting time! It was also so nice to have so much time to talk with Lisa and learn even more!!! Another over the top unimaginable thing that happened is Lisa asked me to do this litters LER. Did I just win the lottery? Everything leading up until I got my boy has just been the most amazing, educational time of my life. Fast forward to now, I have the most loving, intelligent, handsome and best friend I have always dreamed of. I still can't believe I finally have my dream boy. He is truly the best dog I could have ever asked for. He is truly smart and loving. He's always right by my side, through the good and bad days. He's always there to put a smile on my face. I can not thank Lisa enough for everything!! She is someone who TRULY cares about these dogs even after they leave her to go to their new homes, she has and never will leave their side. She is always eager to know how they're doing, what they're up to and how they're maturing. Even when I first got my pup if I had any questions, Lisa was right there to help me out! New Zion has given me the dog of my dreams and I can not thank Lisa enough for helping me on this journey of my own Shiloh Shepherd. Thank you from the bottom of our hearts. I saw Shiloh's for the first time during a visit to the rare breed cat and dog show in Hartford, Connecticut. Sheila Masse and another girl had a couple of dogs with them at the time. I remembering seeing a huge gray dog that looked very docile, laying on the floor . The following year, I made another visit to the show just to see the Shiloh's. I also read some of the information that Sheila gave to me about the breed and Tina, the breed founder. After researching for another 2 years, I decided I wanted to own one of them. On my first visit to New Zion's site, I saw the Carmel/Bear litter. I fell in love with a white female. She actually seemed to be posing for the camera. Abby was the first white dog, I remember seeing on the site. I read as much as I could about her and looked at her pictures often. I remember she was the puppy who loved to stop and smell the flowers. Last year, I agreed to take Abby and whelp her puppies. I was so excited. Unfortunately my female and Abby did not get along. I had to return her to Lisa and I remember crying all the way home. When Abby was pregnant, I was really excited and I put my name on the litter. Olga and Lisa picked a beautiful dual puppy for me and I called her Callie. Callie was short for California Dream-in. Callie was breed quality because I decided I wanted not just to own the Shiloh's, but breed them as well. Cheyenne was my first shiloh from Jessica Strauss. Callie was beautiful with a coat that felt like rabbit fur. Her hair curled slightly on her back. She resembled her brother Ares in her looks and was turning into a real beauty. We were working together in training class and she was very loving and extremely smart. Tragically, her life ended at 8 months old with the diagnosis of GSDIVA. Lisa and the whole community of shiloh owners mourned her loss as well. Even though I have never met many of the people in the ISSR community, all the people were very compassionate and their attitudes helped tremendously with the loss of my dog, Callie. I also have a white puppy named Cody from the Zoe/Bear litter. He is co-owned with Lisa as Callie was. This litter was whelped and raised by Kim Burck and she brought this puppy to Lisa's so I could pick him up. He is very loving, a little shy but I am working on that in a socialization class. I was so excited to have him because I finally had my white puppy. Again in the classes, I can see his intelligence and attentiveness. He is a wonderful dog! A little history on my experience with Shiloh Shepherds. 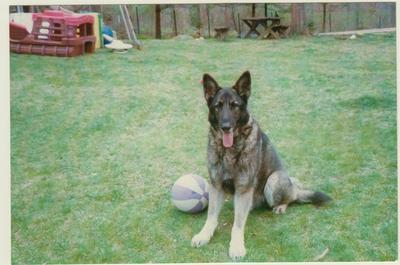 I bought my first Shiloh in 2000 after being a GSD owner for over 15 years. I was looking for a more even-tempered dog and our dog trainer suggested Shilohs after I had fallen in love with one of his. We were directed to a dedicated breeder in Pennsylvania. We brought home Misty and I worked with her and trained her to become a therapy dog. Misty passed away at the age of 9 in 2008. I was soon missing having a Shiloh and began looking again and tried to contact our original breeder but she had moved to California. I found another breeder in Pennsylvania. Our second Shiloh was not really a purchase but a rescue from a disreputable breeder. Callie and her sister were the only two pups left from the litter. At the time we didn't realize the harm this person was/is doing to the Shiloh breed. Callie and her sister were kept outside in a tiny open kennel. I was told that they were 9 weeks old. Both pups were scrawny so I had no reason to question it. Once inside the house, I saw two males chasing an in-heat female around the house. There was no paperwork as this person's printer was not working. So, I left with a puppy that I paid $100 for. (Shiloh's from a reputable breeder go for $1,000 or more depending on breed quality). I waited and waited on paperwork but received nothing. My phone calls were not returned either. Callie was filthy! We bathed her four times in a row and finally the water ran clear. The first two baths involved black water! We took her to the vet within two days of bringing her home and were told she had ringworm, tapeworm, hookworm and had fleas. The vet also informed us that Callie was much older than 9 weeks. She believed her to be closer to 15 or 16 weeks. She told us to watch for when her teeth fall out as that is a general indicator of puppy age and they will fall out around 16 weeks. Two days after that visit, her first tooth fell out. Most people find joy in a new puppy. We didn't. I cried a lot as Callie would run to another room when we would walk into the one she was in. This went on for a month and a half. She also could not stand to have her front paws and legs touched and would turn away or tuck her paws under her body. We also began noticing that her right eye looked a different direction than the left one. There were horses at this breeder and I began to wonder if she had been kicked in the head. I set out to find out what else this breeder had lied to us about only to find roadblocks. I soon discovered this breeder has been a recent vice-president of the ISSDC (International Shiloh Shepherd Dog Club). I got nowhere fast. I was able to train Callie as a therapy dog as she was extremely gentle; but extremely skittish. She did pass her test, but I just could not take her to visit. It wore her out 10 minutes into visiting trying to protect her paws and to shy away from people. We've also discovered that Callie has more painful issues. She has a deformity in her back legs that causes her to walk on her hocks. She also has debilitating arthritis in her front leg and the paw is splayed constantly. She has her good and bad days but it is heartbreaking to watch. In 2014 I knew I wanted another Shiloh, but I also knew I could not put our family through another situation like Callie's. I began searching the Internet. 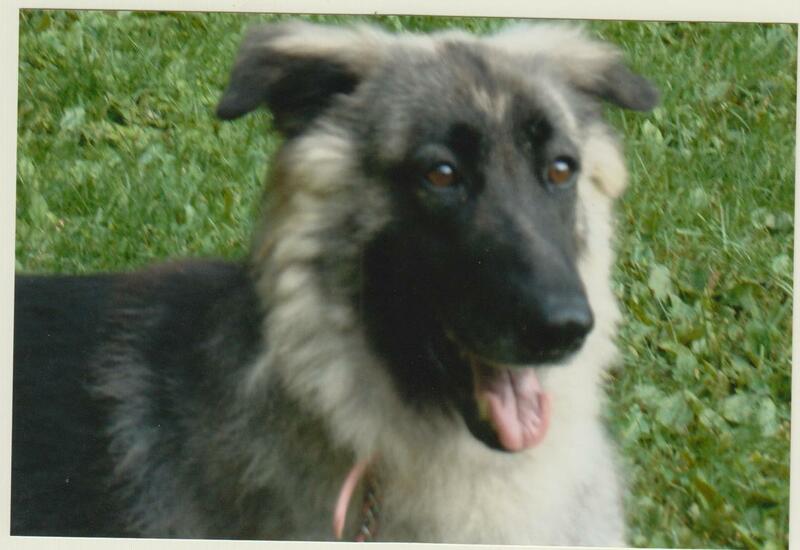 I found Tina/Lisa Barber's and New Zion Shiloh's site and remembered that when I had done research way back in 2000, that Tina was the breed-founder of the Shiloh Shepherd. I had learned from our trainer that one reason Shilohs were bred was for a better temperament and better hips. In looking for Shiloh breeders once again, I found Lisa and with a pounding heart, thought to myself that Lisa is the daughter of the breed-founder. Surely, I had found a breeder I could trust. I called Lisa with the realization that I might have to wait for a litter to even be conceived and born! I am not a patient person. I was over-joyed to discover that a litter had been born within the last few days of my phone call. I took that opportunity to tell Lisa why I needed another Shiloh and my worries about not falling into the same predicament we were put in with Callie. From June until late July of 2014, Lisa and I kept in close contact. Each time, I called her I relayed my fears and worries. I also kept a close watch on the pics Lisa posted on the Internet. I fell in love with a sweet, little girl. Lisa told me she was an option but to keep an open mind and to be sure to the LER which was scheduled for August 2nd. My husband and I drove the 4 hours from Ohio to New York to attend the LER. It was there that Lisa opened her home and kennel to us. We were permitted back into the runs and kennels where all of these beautiful, awesome dogs live. I was in heaven! I was surrounded by the breed I will never be without. I could see that Lisa truly loves and cares for these dogs. Watching the LER taught me so much. Nothing is hidden and as a soon-to-be owner, you really see a pup's temperament, fears and strengths. I also saw how much love Lisa has for these pups and how hard it is for her to send them to their forever homes. I soon realized that the pup I had been watching was not the one for me. I was actually torn between two males! I had paid in full for my pup way back in June and so I was one of three people who had first pick. Lisa could see I was in love with these two males. I remember looking at her and telling her I didn't know what to do. I put my full faith and trust into Lisa and with tears in my eyes, told her I needed her to tell me which one to get. She said, "Green Boy is the one you are looking for. 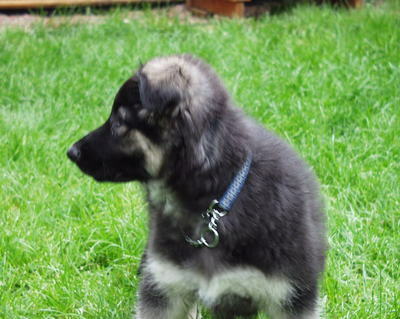 He has a great, happy temperament; but he's not 'in your face' and will be easy to train. He's a smart boy." I will be forever grateful that listened to her. Taz has far exceeded our expectations. He made instant friends with our Callie. She adopted him which I never thought would happen. Taz is exactly as Lisa described. He has the most pleasing temperament that I've ever seen in a dog. He loves all people, but especially children. 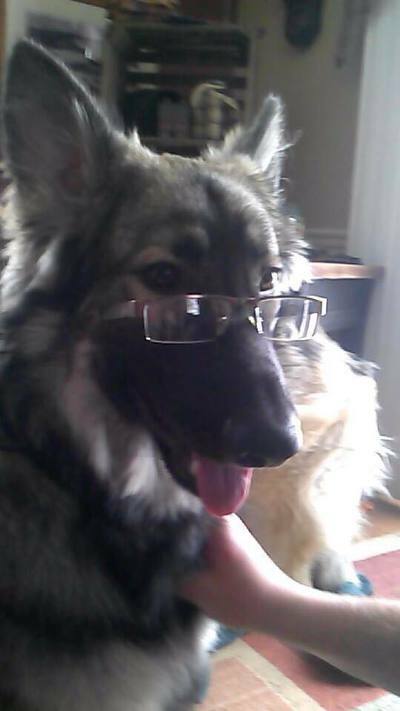 Taz is also very intelligent. 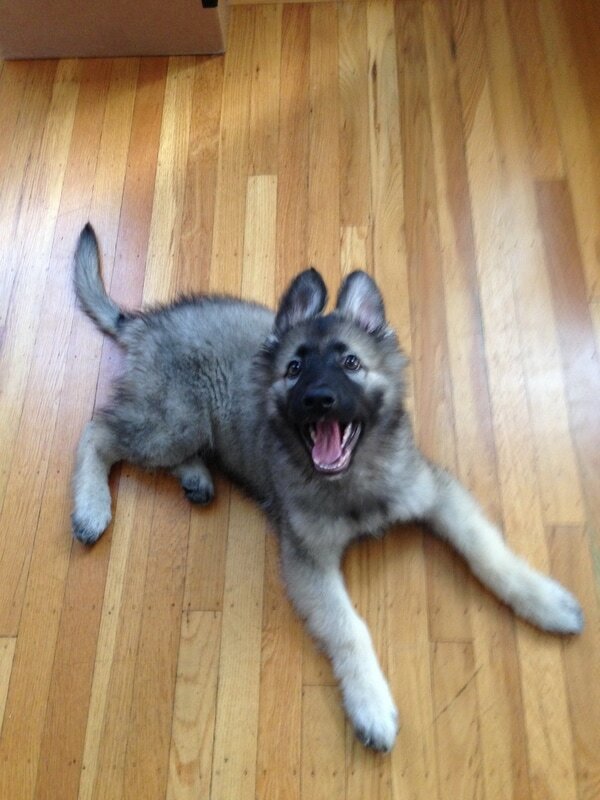 He learned and performed the "sit" command at the age of 10 weeks. "Leave-it" was learned at 12 weeks. Within 10 minutes of learning the "heel" command, he was performing it with no problems and walks like he's glued to your left leg. Taz is the perfect ambassador dog for the Shiloh Shepherd here in Ohio. My husband and I cannot go anywhere with Taz without being stopped every 10 minutes so that people can love him up. When he sees a person to greet( old or new), he will sit without being told. I have referred a number of people to Lisa. I know that giving my name and telling them they can't go wrong is held to high esteem within my group of acquaintances. I thank my lucky stars each day that Taz came into this world from the Clieo/Gibbs litter. He has truly been a joy. I cannot say enough about Lisa either. She has her mother's calling in life. Lisa cares so much about her dogs. She truly knows each dog's temperament. Lisa knows and loves this breed and she knows and loves this breed. You can see it in her face and hear it in her voice. I know that when I am in need of another Shiloh Shepherd, I will be calling Lisa. Proud Owner of a New Zion Shiloh! In March of 2011, I lost my German shepherd dog Shadow to cancer. I was sick with grief over the loss and thought about volunteering with German Shepherds to try and ease the loneliness I felt. During my searches I found a picture posted of a Shiloh Shepherd. I was ignorant of the breed until that time, but immediately recognized what a beautiful animal he was. I spent time learning about the breed, and the founder of the breed, Tina Barber. She lived only a few hours from me. Knowing what I did about regular German shepherd breeding, I was impressed with her philosophy about breeding the Shiloh Shepherd. She far surpassed the requirements of AKC breeding in numerous areas. After reading everything I could about her breeding program I was convinced she was trying to breed a stronger, healthier, smarter dog without the unstable tendencies we sometimes see in the Americanized shepherds today. We had a female Siberian husky and she needed another playmate. She was also lost with the passing of my previous German shepherd. I contacted Lisa Barber about a pairing from New Zion’s website. She took the time to explain her policies and asked me to fill out the application. This was the first time I had to fill out an application that discussed my lifestyle and what I wanted from my dog. New Zion was taking every precaution that not only I, but my new puppy would be happy with the arrangements made! I spoke with Lisa numerous times that spring in 2011 and found that Tina Barber had passed away. 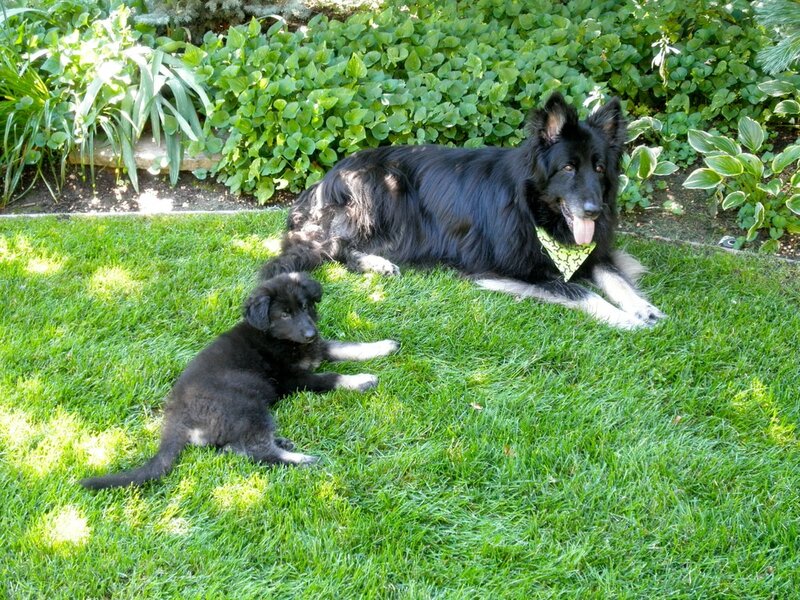 The puppy I wanted happened to be one of the last litters her Mother, Tina had matched. Lisa was hard pressed to give up any of the puppies from that litter, but I was determined to have him. After daily calls and pleading (on my part), she agreed. I drove down on the day my pup was 8 weeks old and met him face to face for the first time. Over the next week, my puppy fell ill. Lisa offered to take him and care for him, but I assured her I would do everything in my power to nurse him back to health. Lisa and I talked numerous times a day. She provided support and knowledge that helped my puppy to rebound quickly from his illness. After he was well, I needed a bit of help with his dominant behavior. Once again Lisa was there to couch me through the least aggressive method to control his behavior. I have kept in touch with Lisa for the 4 years I’ve own my Shiloh, Ari. We’ve driven down to visit on occasion to spent a couple of days with Lisa, her family and the dogs. 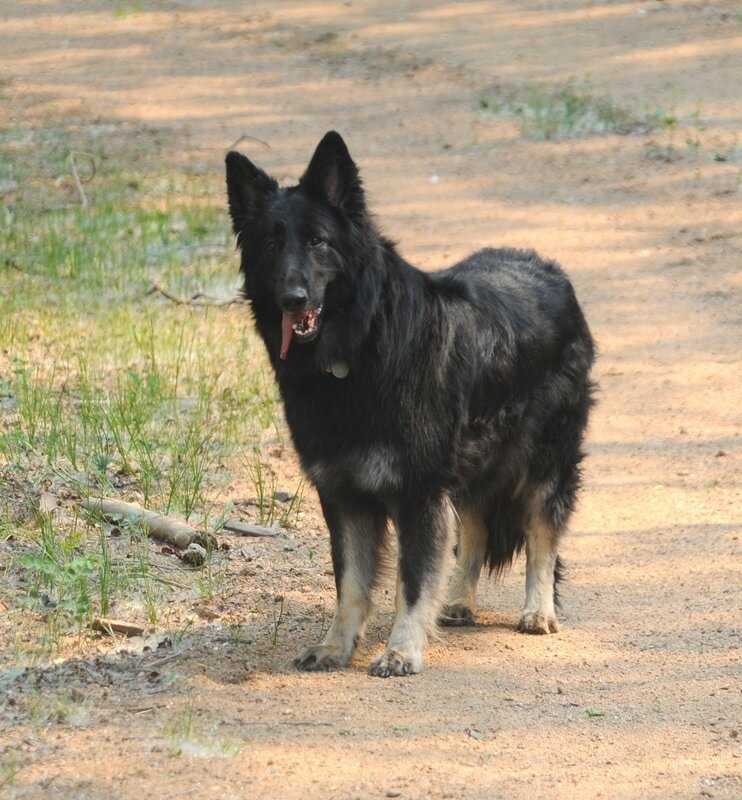 Lisa is committed to continuing her Mother, Tina’s, responsible, breeding program to produce exemplary Shiloh Shepherds. I personally can’t thank her enough for letting me plead for Ari. He is the silliest, smartest, most lovable dog ever. Eight years ago this month, I got my first Shiloh, Leo, from Lisa and Tina. He was all I could ask for in a puppy. I already had a Golden Retriever at home and the 2 became fast friends. When we lost our Golden to cancer, we knew that we wanted another Shiloh in the family. We welcomed Zeke to our home in November of 2012. Zeke was without a doubt, one of the sweetest pups I ever had. Unfortunately, he succumbed to GSDIVA at 10 months old. As devastated as I was about his passing, when I called Lisa to let her know, she was even more upset than me. She wanted to know every detail about Zeke's story and very gently stated that whenever I was ready, she would send another puppy. She could not have been more empathetic or more accommodating. Over the course of the next few months, she and I spoke often about various litters and what I wanted in a puppy and she promised to find a perfect match. Fast forward to Cosmo....he is the absolute perfect puppy. He was housebroken very easily and has the best temperament. He and Leo are best friends. Cosmo is the epitome of what a Shiloh should be...friendly to both human and other dogs, yet protective of the household and smart as a whip. We are currently doing nosework with him and will be starting tracking as well. I couldn't be more happy with Lisa and what began as a warm business relationship turned into a friendship. Cosmo and Leo are the best! I first became aware of New Zion Shilohs and the Shiloh Shepherds around 2000. I had two small dogs and was waiting for them to pass before I brought a big dog into my home. By 2002 I couldn’t wait any longer, I kept visiting the New Zion Shilohs website and kept falling in love with every dog I saw. So that February I went to a dog show in PA where I first met Tina Barber. Even though there were many Shiloh club members there, Tina took the time to get to know me and answer my questions. I immediately joined the Shiloh Shepherd Dog Club of America club. But, I wasn’t looking to become a breeder yet. Then I went to a chapter event in Virginia and met Tina again… she spent time talking to me again, and I was hooked… I wanted to breed Shiloh Shepherds, but not just any Shiloh Shepherds, Tina’s dream Shilohs. Later that year I drove up to New Zion to discuss which litter of puppies I should consider. That’s when I met Lisa Barber and fell in love with Grizz. Both Tina and Lisa spent time explaining the lines behind the dogs they were breeding…. my head was spinning! But, I still have those notes! I told Lisa I wanted a son from Grizz, and when the Buffy/Grizz litter was born, I knew my dog was there. Lisa tried to talk me into waiting for the next Grizz litter, but I wouldn’t have it… lesson learned. Listen to your breeder! I brought Orion home, my first big dog. 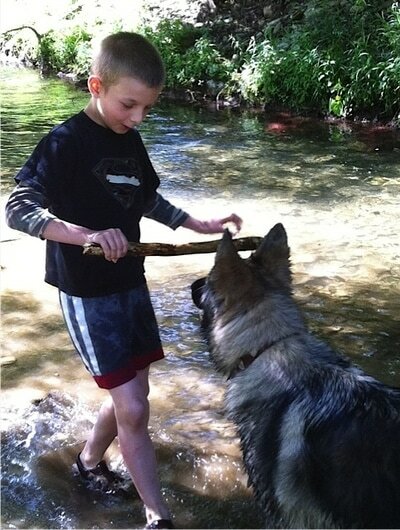 Orion was a dominant dog who needed an experienced handler. I wasn’t one. So, when he started having temperament issues, I went to Tina and Lisa for help. I was invited up to New Zion for a training session for Orion with several other Shilohs. That’s when I was introduced to the STM or Shiloh Training Method. As time passed, I learned how to deal with my dog, and he became my heart dog. We spent so much time working with each other, we developed a very strong bond. Orion was supposed to be breed quality, but we found he had a heart murmur when he was one year old and we removed him from the breeding program. I had already also sent a payment for a female compatible to Orion to breed together. So, now I had no breeding dog. Lisa and I worked together, and I was very careful choosing another male that would get along with Orion and become my breeding stud. Because I was so choosy, it took me 4 years to find my next Shiloh, but he wasn’t born at New Zion. Tina and Lisa worked with the breeder in question and made an arrangement so I could bring my next puppy home, Kuma, in early 2007. He was a Grizz grandson! 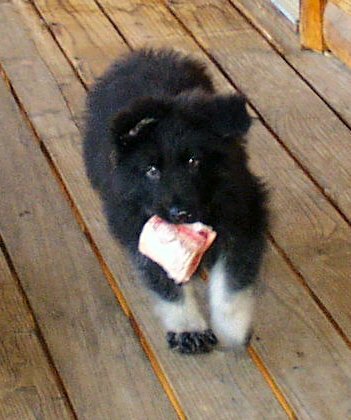 Kuma became my stud dog, he was like a small child, curious, friendly, lovable. The perfect temperament! He became my conformation champion. He loved working for me, and we enjoyed doing Rally O. Kuma was bred 3 times, all to females from New Zion. Ginger was born at New Zion and lived with a friend in Manassas. Ursa was also born at New Zion, and lived with another friend in Michigan. And Queen who was born and lived at New Zion. I couldn’t have been prouder of my Kuma and his sons and daughters! When I lost Orion, my heart was broken. 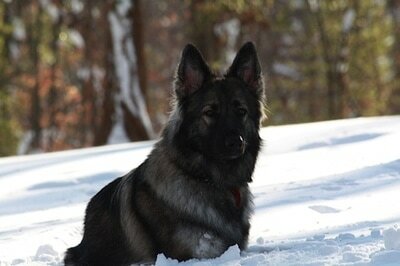 There’s something about a Shiloh Shepherd that is like no other dog. Kuma became my heart dog, fitting well into that void Orion had left, he was the dog I would trust around any small animal or child, and he would be fine with them. Then, my Kuma’s first litter was born to Ginger. And I was looking for another male to take Orion’s place. Instead, I fell in love with one of Kuma’s daughters. And since I was still owed a dog by Lisa, Bronte came into my home in early 2011. Bronte not only became a conformation champion, but won the Grand Victrix award in 2014, the top female of the year award. Through the years, I’ve visited New Zion Shilohs many times. I became first one of Tina’s and Lisa’s protégée’s, then their friend. They taught me that breeding isn’t done for money, but for the love of the breed. That breeding can break your heart, as you may breed what you think is the perfect pair, to see it develop health issues that weren’t expected. Tina called it the throw of the dice, how the genes would tumble from down the many dogs in the dog’s pedigree and show up when least expected. I’ve seen both work with customers, trying to steer them towards the perfect dog for them. I’ve seen them replace dogs, even when the dog they were replacing wasn’t even from our registry, let alone their kennel. I’ve seen them struggle through good times and bad times. But, most importantly, I’ve seen the love they have for this breed. Loosing Tina was a punch in the gut…. Lisa struggled with her pain and trying to continue her mother’s dream. I’m proud to see Lisa taking her place as Breed Warden, and I’m proud to help her fulfill her mother’s dream. As a member of the SSDCA and owner of 2 ISSR registered Shilohs from New Zion (the original Shiloh, for those who have forgotten) this kennel has been a constant support for us. I can't imagine not being able to go to Lisa for her guidance and support. Also I am a groomer who spends many hours there helping her with her dogs. It's a tough job, but she does it! I have never been there when I wasn't happy with the way things are taken care of. I would never own a Shiloh that wasn't of the quality that comes out of New Zion, again- Thank's Lisa. Thank you Lisa for our beautiful Khalisi. She is smart, gentle, loving and a great addition to our family. She has a wonderful personality and is a fast learner. She made the puppy trainer laugh at every class. She would do something 3-4 times correctly and then look up at the trainer like --- really, I got this down, let's move on to something else. My cousin has two German Shepherds and is (perhaps I should say WAS) a true German Shepherd man. 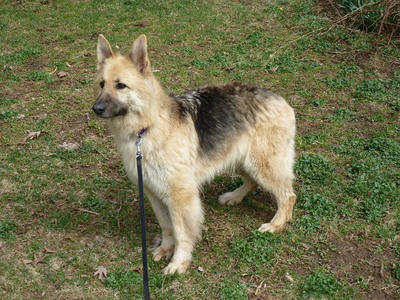 He loves Khalisi's temperament and personality so much that he is going to contact you when he is ready for another pup. I'm looking forward to being matched up to our next Shiloh in March after the LER and cannot wait to bring the little guy home. 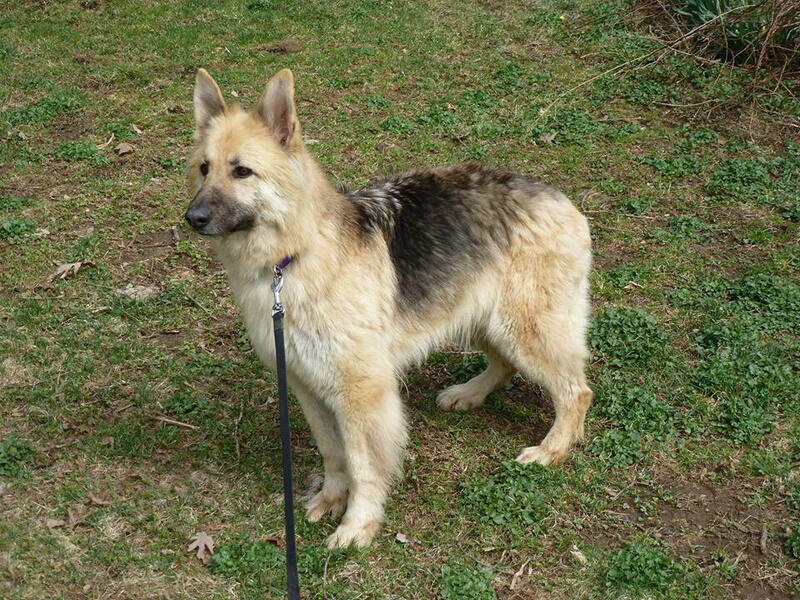 You are extremely knowledgeable about the Shiloh Shepherds and very careful about matching puppies to owners so I know that he will be a perfect addition to our family. I am very impressed by your great love of the breed and the purity of the breeding lines. The temperaments of your dogs are incomparable. PS: I love watching you interact with your pups and seeing the love they have for you and you for them. 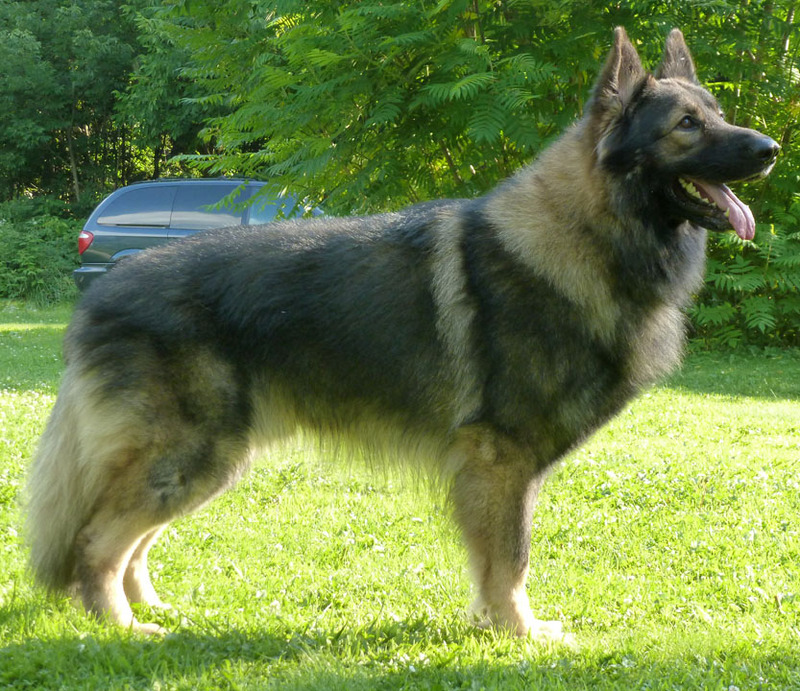 I have owned three Shiloh Shepherds from New Zion Kennels. Ginger is 7 and Jack is 5. My first trip to New Zion was in Nov. in near blizzard conditions. My husband was driving and twice almost turned around because we were lost and the weather was awful! Eventually we found our way to the kennel. That day changed my life forever. Ginger dragged us through the Shiloh world with wild abandon, earning her puppy championship, adult championship and the ultimate award, Grand Victrix twice. Our experiences with Ginger led us to three more dogs and an exciting life breeding and showing these magnificent dogs. Tina Barber was my first mentor as I moved through years of learning to be a licensed breeder. I spent many days at New Zion learning the ropes by watching litter evaluations, assisting with whelping litters and participating in club and ISSR activities. After Tina died, I continued my Shiloh education under her daughter, Lisa. The time I have spent at New Zion has taught me how to be a good breeder and more importantly, how very important this magnificent breed is. I often think how amazing the entire process is and how little owners really know about what goes into bringing a litter of puppies into this world and following them through their lifespans. At New Zion I learned so much about running my kennel, mother and puppy health, puppy growth and development and how to educate my clients about all of these things. I learned how to keep my puppies healthy, how to keep my kennel top shape and how to follow up with my puppies for the long term.Tina and Lisa have taught me so much and I can never thank them enough for the lessons they have so kindly offered. Our third puppy, Gracie, also came from New Zion. 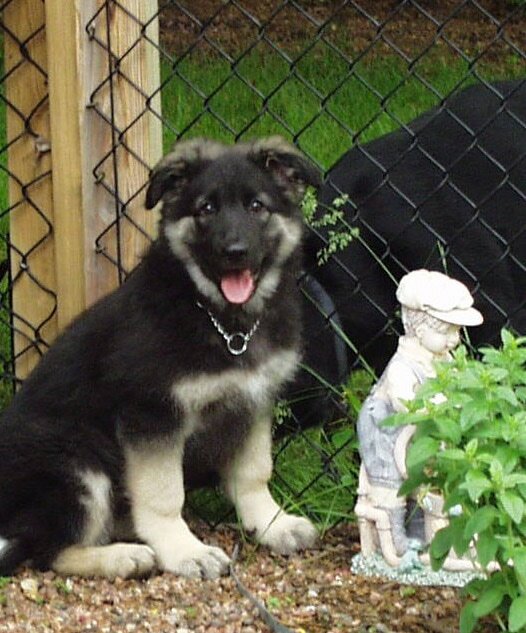 Unknown to all of us at the time, Gracie had GSDIVA which is a heart disease that can kill puppies. One morning when Gracie was 7 months old, she did not wake up. It was one of the worst days of my life, to lose a puppy that is a family member. My first call that morning was to Lisa. In retrospect, I should have waited until I was calm. Lisa was just as upset that morning as I was. Gracie had been a gift to me from Tina and Lisa, so her loss was huge. As a result of losing Gracie that day Lisa was an integral part in establishing the Gracie Initiative to combat the disease that has claimed the lives of several of our Shiloh puppies. This program is now testing all potential breeding puppies. Without the support and guidance of the breed warden (Lisa) this effort would have not come to the important place it is in our breed history. Ginger and Jack continue to be strong and healthy examples of New Zion puppies. The Gracie Initiative speaks volumes to the effort New Zion goes to when action is needed to assure continued health in our Shilohs. Thank you Lisa. You are truly your Mother’s daughter! 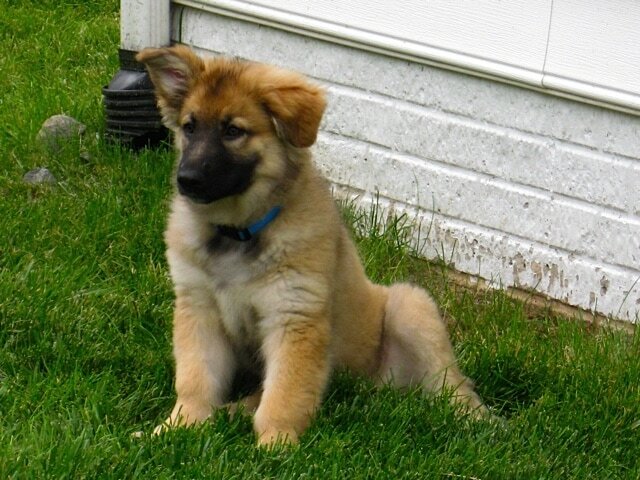 I fell in love with the Shiloh Shepherd breed as soon as I saw a picture of a New Zion dog. Sometime in 2000 I contacted Lisa at New Zion and told her the type of dog I was looking for. In 2001, I got Scout. He was the best dog. Personality, looks, charm, and he actually foiled a robbery when he was 9 months old. Then, in 2002, I got Prydwyn,aka Pryddie. She was smarter than most people I know. Between them, I had the two most wonderful dogs anywhere. Pryddie was the escape artist, and entirely too good at getting where she wanted to go. She was also determined. After a squirrel she caught bit her on the lip, she started standing up and shaking the big trees to get the squirrels to fall out. Pryddie and Scout were best friends. Sadly, I lost Pryddie in 2010 to DM. I called Lisa, and was put on the list for a new puppy. In 2011 I got Meli, who is a real charmer!Scout made her his personal project, and they were inseparable until Scout’s death in 2013. Meli has become my hearing service dog. I am still waiting for another puppy, but hope to get one soon. Meanwhile, my daughter Maggie got Laika, another wonderful Shiloh Shepherd, from New Zion. And, Maggie and I picked up Bandit for my dear friends in San Francisco. I have been involved with Lisa and Tina at New Zion Shiloh Shepherds for 15 years. I have been to the facility. I have seen the dogs, followed the blogs, talked with many people, and can tell you of the wonderful dogs they breed. 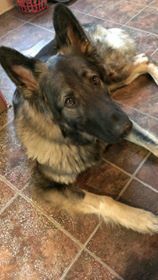 In addition to the dogs above, I’ve been involved with a friend who currently has three Shiloh Shepherds from New Zion, and is thrilled with all of them. Lisa is a respected and incredibly knowledgeable breeder. She is concerned about each of her puppies. As an example, when one of the puppies might have been exposed to Parvo, Lisa called to warn me and tell me the symptoms. She wanted, and received, updates daily. The puppy did not get Parvo, and all was well. However, Lisa’s willingness to follow up is what I expect in a breeder. I am grateful to Tina, Lisa’s mother, for developing this fabulous breed, and to Lisa who now has the entire burden of breed development. 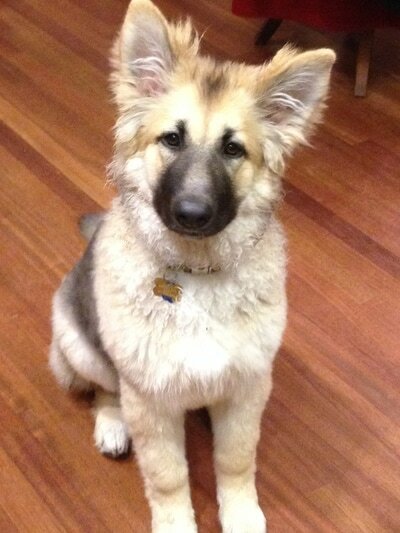 Without the New Zion kennel, there would be no Shiloh Shepherds. 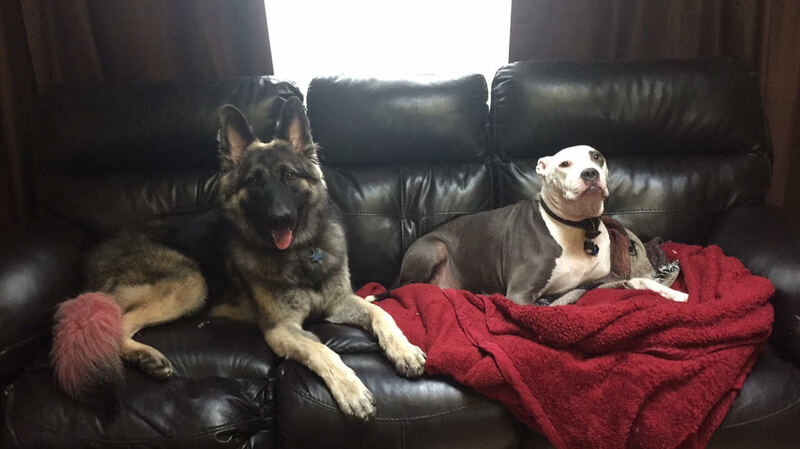 You only have to read the Shiloh Shepherd friends’ comments to know how very special these dogs are. So many people with needs have found safety and assistance with these dogs. They are amazing family members. They are search and rescue dogs. They are show stoppers everywhere. The breeding dogs have to pass an incredible number of tests to be allowed to breed. Ask Lisa, or another ISSR breeder. They include testing for temperament, conformation, hips, heart, and thyroid. None of this is cheap, easy or without occasional heartbreak. Developing this breed is truly the work of a lifetime. Thank you for my wonderful dogs. My first contact with New Zion was over 20 years ago when we got our pup Max. At that time we had small children and the only thing that mattered was temperament. We were told that Max would be perfect for us, and he certainly was. He was gentle, smart and ever so loving- the perfect family dog. He was pet quality but I can’t even begin to list the times we were approached about our beautiful dog. When Max passed at a ripe old age I was devastated- swore off Shilohs as I did not want to have that kind of pain again. Ended up with mixed breeds, and American bull dogs, they were great dogs too but I missed that special extra the Shilohs had. So I went back to New Zion and spoke with Lisa. It took a while to find a puppy that would work for us. As I went to see the Hope /Quest litter for the second time I met Leah. She was a girl that was being retired, and I fell in love. So Leah came home with us. Shortly afterward we went back for the LER for our puppy. I was kind of leaning toward one pup but Lisa had other plans for me. I ended up with Marco. Marco was a pet up pup, I thought that was what he would stay. We went to Homecoming and Lisa convinced me he should be shown, he won Best In Show! Since then he has been entered in other shows and is a Champion as well as Grand Victor 2014. He also has been used at stud. Most importantly he is a wonderful family pet. He is beautiful, gentle, intelligent and is my “HEART DOG”. I have since gotten Nora from New Zion, a breeding female. She has recently had a litter of 3 pups. She has blended in with our family and we just love her. 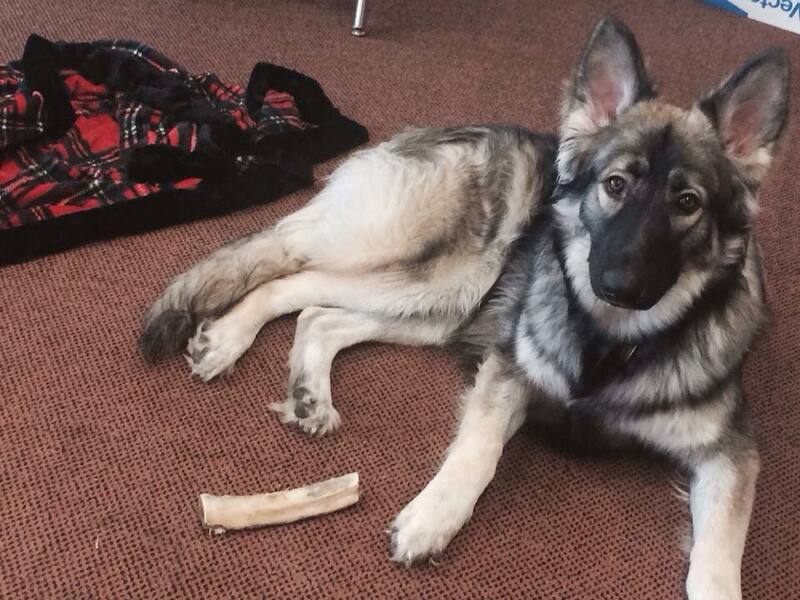 Our most recent addition from New Zion is Greta our 6 month old pup. She is turning out to be such an awesome dog. So friendly, outgoing and smart. I am happy she is past the puppy shark attack phase! To sum it up, I have had a relationship with New Zion and Tina and Lisa Barber that dates back over 20 years. I have always been very impressed with dogs I have gotten as well as the advice. Lisa knows her dogs and I trust her implicitly. I am currently a Licensed Breeder In Training and have my own kennel Terra Shilohs. Without Lisa’s help and knowledge that would not be possible. So coming from friend and breeder (me) I highly would recommend Lisa and New Zion Shilohs.